The world is quickly evolving into a technologically ubiquitous and savvy place, and because of this, the Vietnam government is looking to boost the country&apos;s capabilities in its field of science and technology. Thus, the Government has come up with the National Development Programme Tech 2020. On a whole, the main goal of this programme is promote research, innovate and be adept in creating high-tech, as well as effectively apply technology in different fields of the economy. Attention will also be paid to the construction of infrastructure and human resource development of high technologies. To achieve the first aim of “researching, own, developing and producing high-tech”, there are different fields of consideration -information and communications technology, biotechnology, automation technology, materials technology. In these different fields, it can be summed up that the government aims to improve on the current technology as well as come up with new and specialized equipment for the industry. The second aim of “high-tech applications” is to encourage organizations to build and deploy project-tech applications on the list of high-tech investment and development priorities in the sectors. Immediate focus would be placed on high-tech applications for the following sectors- industry and services, agriculture, healthcare and environment and security and defence. The third aim is to “build and develop high technology industries”. Organizations are to build and deploy the project as well as establish and develop a number of high technology industries. There will be a push for technological innovation to increase production of high-tech products for 2020 so as to be able to meet the demand for it. Lastly, the government will develop the technical infrastructure and the human resource. High-tech organizations will be deployed with the task of building the technical infrastructure of high technology and human resource development. Highly qualified professionals from home and abroad will also be made to participate. 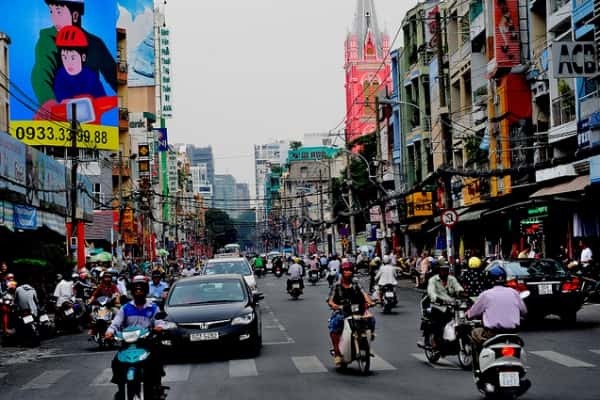 With these plan set in place, Vietnam is working towards becoming a technologically advanced and high-tech nation.